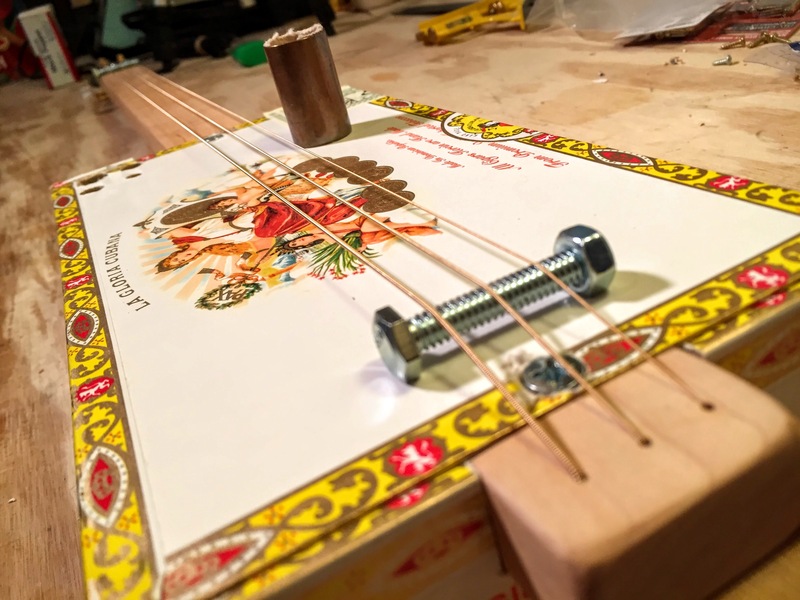 How-to Build & Plans – The How-To Repository for the Cigar Box Guitar Movement! Click the image above to view the how-to guide PDF. This is the full how-to guide from C. B. Gitty’s Cigar Box Ukulele kit. 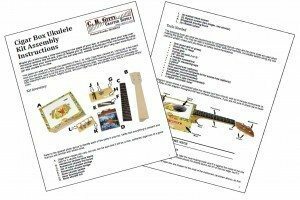 While written with a focus on assembling the kit C. B. Gitty sells (which includes all of the parts and hardware you need in one easy package), this how-to guide is a good general introduction to building a cigar box ukulele, and could be useful if you want to try it on your own from scratch. Click Here or on the image to the left to view the full guide document. Do you wonder how difficult it would be to make a cigar box guitar? Are you worried that you don’t have the tools or experience to do such a thing? Look, not only can you make a cigar box guitar, but you will with this easy-to-follow plan. This plan starts out by listing the tools you’ll need. Then you’ll see the resources and hardware that you’ll use. After that, you’ll follow a clear, step-by-step plan filled with crisp, colorful images to build a 3 string, fretless, cigar box guitar. Enough with all the talk. Let’s do this!